The beginner’s guide to choosing the perfect first bento box. 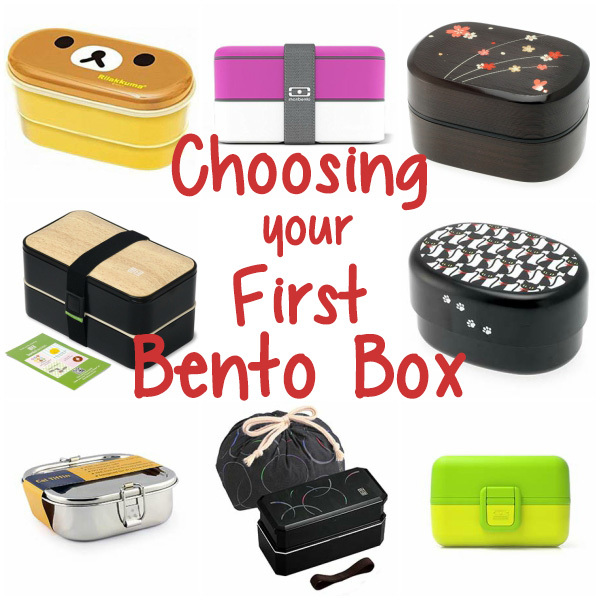 By the end of this post, I guarantee you’ll find a bento box that’s your perfect match! So, you want to make your very own bento box. Maybe it’s for your boyfriend or husband, who goes and eats fast food if not provided with a nutritionally-balanced lunch (if so, welcome to the club). Or maybe it’s for your picky daughter or son, who’s lunch box is filled with untouched food every time you unpack it after school. 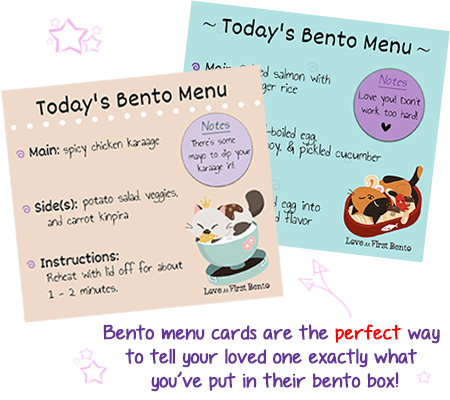 Whatever the reason, making a bento box for your loved one is a smart, delicious choice, and I wholeheartedly welcome you to the Bento Club! You don’t have a bento box. Well, I have some good news for you: you don’t actually need a bento box in order to start making and enjoying your own bento creations! Technically, all you really need is a portable, sealable container that’s capable of holding food. 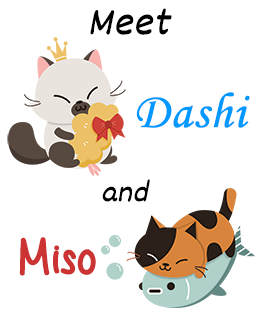 (I know, mind = blown.) I bet you already have some suitable contenders sitting in your kitchen right now. Things like plastic tupperware containers, empty (and cleaned) tubs of Cool-Whip, margarine, or yogurt, heck, even cardboard containers from last night’s Chinese takeout would fit the bill. I was looking for something that my boyfriend could take to work with him and not be embarrassed about eating from, so I thought the cherry-wood finish was the perfect man-approved design. I still use it (and love it) to this day! 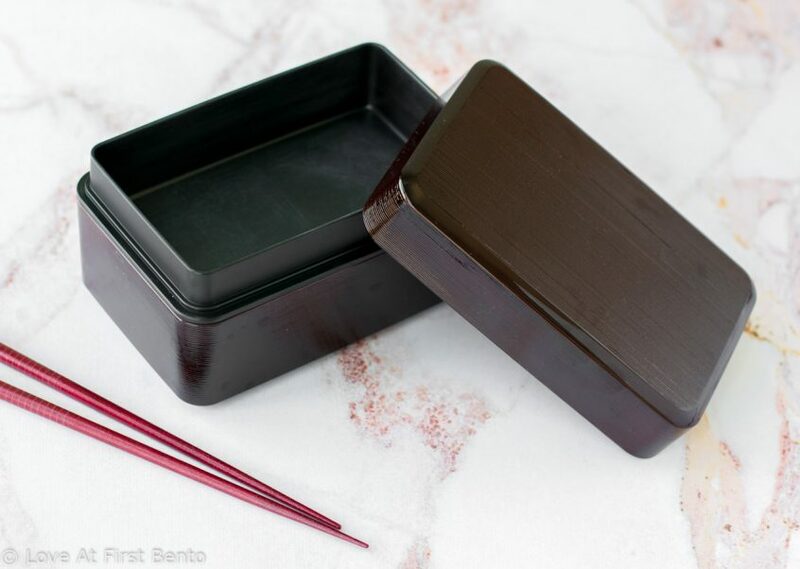 Bento boxes come in all sorts of colors, shapes, and sizes, and can be made from a variety of materials that vary in how easy they are to clean and maintain. Sound overly complex? Friend, I’ve got your back. Listed below are my top 12 choices for first-time bento box buyers, and every single one has been personally purchased, tested, and (most importantly) approved by me. I pinky promise you, there’ll be at least one to suit your unique needs. Enjoy the traditional look without the hassle of caring for bamboo or wood, which can easily become discolored, damaged, or warped without proper care and handling. 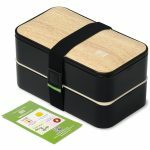 Bamboo bento boxes tend to be very expensive (usually $50+), but you can still enjoy the minimalistic beauty of a (faux) wood-finish with this bento box, for a fraction of the price. 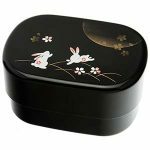 The lid features a beautiful cherry blossom design; it’ll surely garner envious commentary from onlookers. 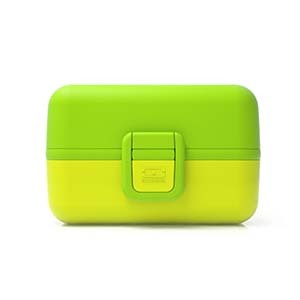 This sleek and stylish bento box comes in a variety of colors, so you can color-coordinate it with your designer handbag, or get men to eat from it without feeling like it’s detracting from their masculinity. Every piece of this bento is dishwasher-safe, which is a HUGE WIN in my books. 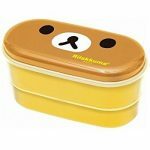 Monbento produces some of the best quality bento boxes I’ve ever owned, so you can trust it’ll do it’s job, and do it well. It’s sleek and modern appearance makes it great for both men and women. 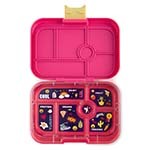 The price not only gets you a bento box, but also a handful of food dividers, as well as a cute pair of mini chopsticks that fit right into the lid of the bento box. Score! Overall it’s quite easy to clean. I always hand wash the lid, but everything else I throw in the dishwasher for easy-peasy cleanup. 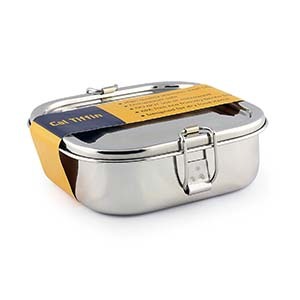 This bento box is low maintenance for a reason: every part of it is dishwasher-safe, so no need to hand wash a single thing (halle-freakin-luja!). 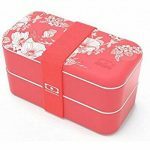 No worries about stains or lingering food odors with this bento box– it’s top-class when it comes to longevity and hygiene. Can be enjoyed by males and females alike due to its simple, universally-appealing design. The main compartments of this bento box are dishwasher safe (I hand wash all the lids, just to ensure the design doesn’t fade). Made from food-safe plastic, so you can eat with peace-of-mind. 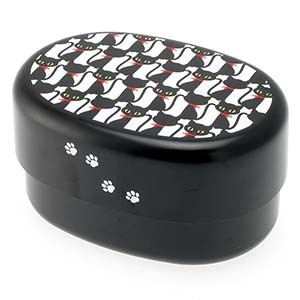 Um… did you SEE the cute black kitties on the lid? They have their own style going on with their chic red scarves, which adds a nice yet subtle pop of color. 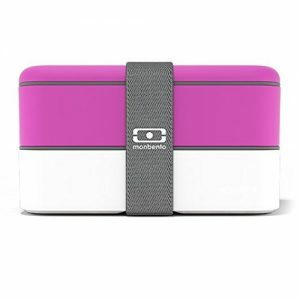 This bento was built specifically with kids in mind: it boasts a kid-friendly size, BPA-free material, and lids that are designed to be opened and closed with ease. 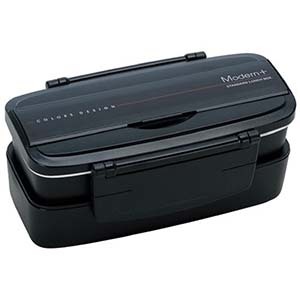 Built to withstand the bumping and shaking that will undoubtedly occur as it’s transported to school, this box has air-tight seals to ensure nothing gets out before lunchtime. My favorite part? There’s a feature on the lid that allows you to insert customizable tokens, so you can either get creative and make your own, or use the pre-made ones that come with it. 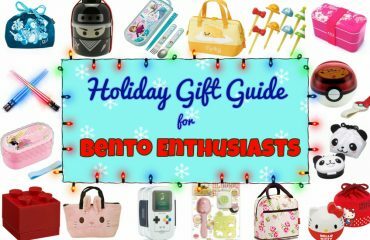 Should you have any further questions about purchasing bento boxes, feel free to leave a comment on this post. 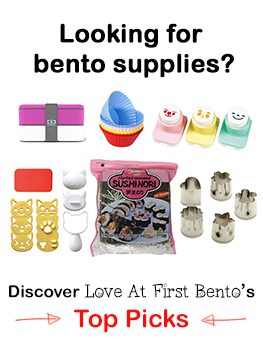 PS: If you’re wondering about the who/what/where/when/whys of bento supplies, then I highly recommend checking out the official Love At First Bento Shopping Guide – it’ll definitely have everything you need to start making some adorable bentos. hi. i’ve been quietly obsessing about bento for awhile and only just recently took the plunge with actually attempting it (for some reason it seems so daunting!) i wanted to stay away from plastic containers, even if labeled food safe or bpa free etc. i’m rather leery of silicone too. i’m not sure about taking proper care of wood, and stainless steel can’t be heated up in the microwave. i happened upon glass containers that are already sectioned which gives me some guidelines for portion control. maybe one day i’ll splurge on a real authentic wood bento but until then i’ll stick with what i have. i’m really enjoying your videos and tutorials. Hey there, Lan! 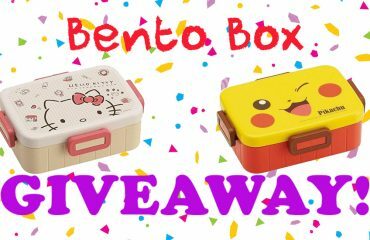 I’m so glad you’re enjoying the videos & tutorials, thanks for letting me know 🙂 And nice job on taking the plunge into the world of bento boxes, that’s super awesome! I totally get how they can seem a bit daunting (I still feel that way sometimes, lol!) 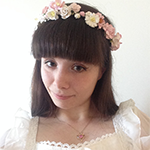 – hopefully some of my tutorials will help make them seem a little more approachable. 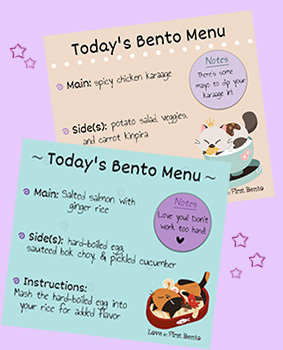 I have more on the way that will be looking at creating basic bento box design elements, so keep an eye out! 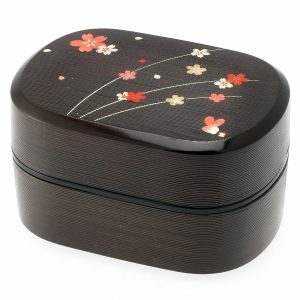 Thanks for all this great info on bento boxes. Love your first hand description of the different types. Thanks so much! Of course, I’m always happy to help when it comes to bento boxes 🙂 Glad you found it useful!